Growing up in Oregon’s bountiful Willamette Valley, I took for granted the abundance of farmland that surrounded us. I kept my appaloosa mare at a stable on the outskirts of town and spent my summers riding through miles of adjacent farmland, galloping through orchards and standing on my horse’s back to reach the fruit of a rogue cherry tree or overgrown blackberry patch. Now each time I return home for a visit I notice that the city has absorbed a little more of the surrounding farmland. The galloping orchard now a subdivision, a hospital now sits in the hayfield by the river, our favorite berry patches paved over for parking structures. I ask myself, as the population grows and changes, who will continue to grow our food and what will become of our remaining farmland? The majority of current farmers are nearing retirement and it is estimated that more than two-thirds of our Nation’s farmland will change hands in the next 20 years. 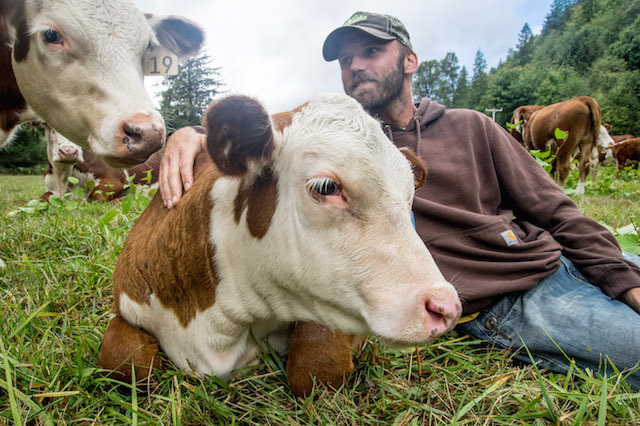 Beginning farmers are eager to take up the reigns, but often lack access to farming’s most precious resources: land and water. As a farmer advocacy organization, Friends of Family Farmers has traveled the state hearing from hundreds of farmers and ranchers over the past decade and the issue of access to land rises to the top time and time again. Those with land struggle to find suitable successors while beginning farmers, many of whom are not inheriting land, are in need of land to farm. Oregon Farm Link was created to help connect beginning farmers and ranchers with landholders to help grow the next generation of family farmers in Oregon. 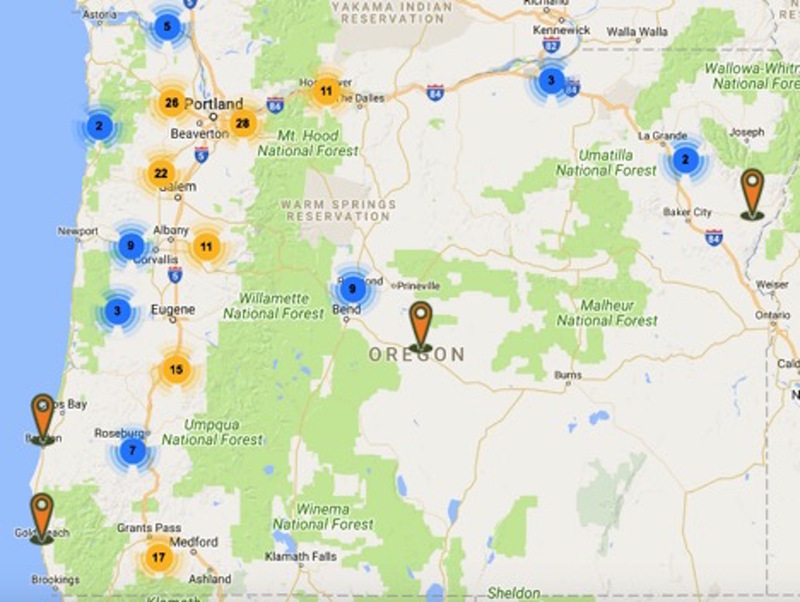 Oregon Farm Link (OFL) is an online, land-linking database specifically for farming. The site works a bit like Craigslist in that users create listings and contact each other via an alias email. One user described Farm Link as “an online dating site for land-leasing relationships, a place where you can meet your perfect leasee or leasor.” While Oregon Farm Link focuses on land and farming opportunities in Oregon, many similar land linking services exist all over the country and a national directory can be found at the National Young Farmer’s Coalition. When seekers first visit Oregon Farm Link they can see a map of Oregon that shows land listings all over the state and can search for land by location, type of business arrangement, farming practices allowed etc. Similarly land holders can search for land seeker listings based on their farming practices, experience farming, acres desired and more. The site also has farm related job listings and many resources on beginning farming, succession planning, leasing, business planning, financing, grants, certifications and food safety. 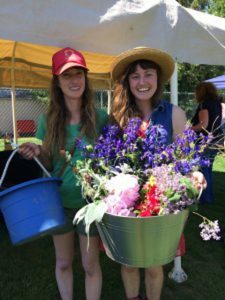 Lindsay and Courtney of Farm Lily Farm followed their dream of farming to Corbett, OR where they were able to find a landowner match through OFL. Once ready to dive in and contact others on the site, the user can create their own profile and listing. Listings are flexible and allow for a variety of creative business arrangements such as: sale of land, lease to own, lease for cash or trade, partnership, mentorship opportunity etc. With space for an introduction and things like “Farm Vision and Business Plan,” the listings give land seekers plenty of room to express their passion for farming and convey their readiness to take on the challenges of starting a farm business. At the same time, land holders can provide detail on the history and attributes of their land as well as their vision for the property going forward. It’s often the case that sharing a passion and similar vision for the land is more important to a successful match than the precise attributes of the property. Once created, all listings must be approved by Friends of Family Farmers staff before they are posted to the site. 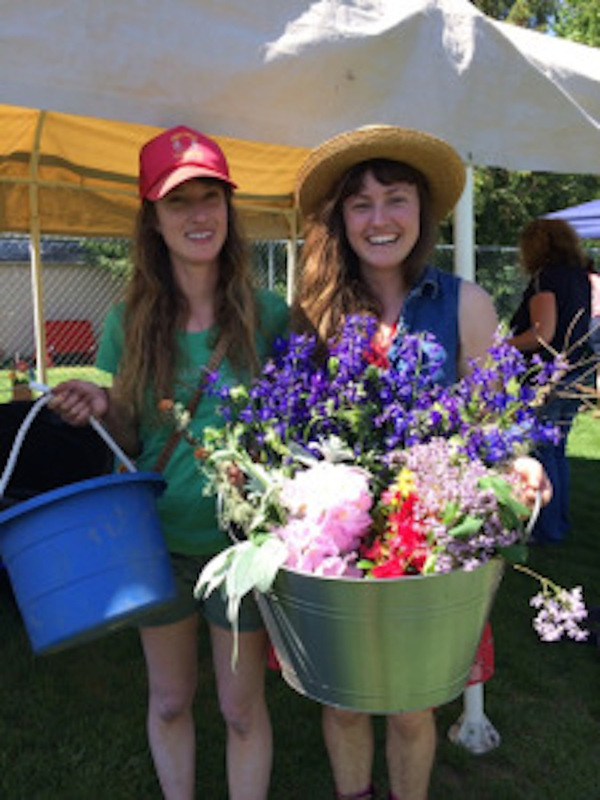 The approval process weeds out unrelated posts to ensure that listings are all supporting the program’s mission of fostering the next generation of family farmers in Oregon. After approval, the user takes over and is able to contact others on the site in pursuit of a successful land match. 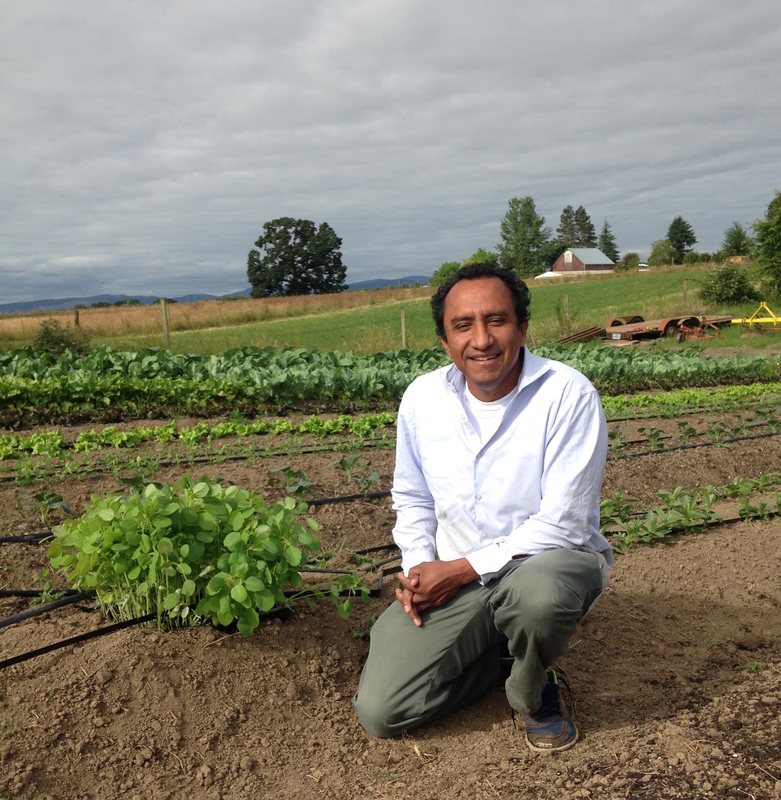 Javier of Anahuac Produce found several properties through OFL on which to build his own farm business. 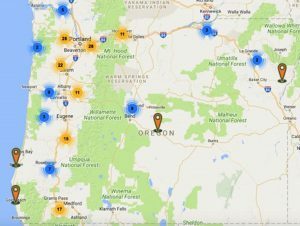 Since Oregon Farm Link (originally called iFarm) was created in 2009, the program has helped facilitate many successful land matches across the state. With rising land prices, student loan debt, and encroaching development there are more barriers for new farmers than ever. It is imperative to find creative ways to keep our precious farmland and pass it on to the next generation of land stewards and food growers. OFL serves as an important tool to facilitate that process. As one land holder wrote: “I think every landowner with a patch of land should consider putting their space up on the Oregon Farm Link…You might have no idea what to do with the land – but you might find someone with that idea!” Development and change may be inevitable, but together we can work to ensure that viable farmland remains for the next generation.